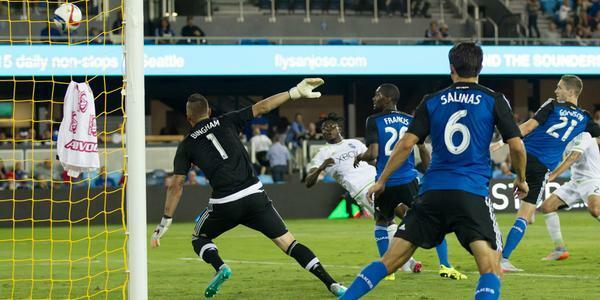 The San Jose Earthquakes host Sounders FC in regular-season action. HT - Few chances for either side and we go into the break scoreless! In my best booming voice..
Making his @SoundersFC debut, ANDREEEAAAAS IVANSCHITZ! The Austrian replaces Brad for the second half! 50’ - Opposing players, like myself, sometimes seem to sit and observe the beauty of the Oba/Dempsey combinations. 54’ - Watching Cato try to get past @ChadMarshall14 is amusing. The size difference is huge. 0-0. 55’ - Caution shown for Pineda because he disagreed with a free kick placement. Appeared to be a civil discussion, though. 57’ - Valdez is EVERYWHERE. He is picking up a knock here and a knock there, but what a game he is having. 59’ - SEA SUB: Valdez is getting all sorts of beat up and will be replaced by Lamar Neagle, Mr. #253 himself. 60’ - #Sounders are out of subs. It’s up to the 11 men on the pitch to get the job done in Saint Joseph. 62’ - Oh boy. Salinas slips through a few different SFC defenders but can’t do anything with it. STILL 0-0, thankfully. 64’ - Who has better hands, @Stefan24Frei or @OBJ_3 ? My vote is the 3x in a row goalkeeper, but I might be biased. 64’ - Who has better hands, @Stefan24Frei or @OBJ_3 ? My vote is the 3x in a row SOTW goalkeeper, but I might be biased. 67’ - Wondo is wearing long sleeves. I don’t believe we have seen #WondosElbows this year. Have we? 69’ - SJ SUBS: Jahn replaces Amerikwa and Garcia comes on for Barrera. In other news, I would like to see a goal pretty soon. 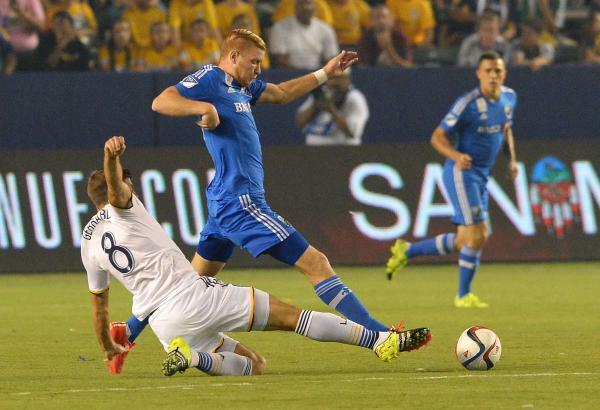 74’ - With the goal, San Jose is laying on the pressure, earning a corner. Away, but SJ looking to recycle it in. Oniel gives up another. 79’ - First second-half corner coming right up for the #Sounders ! 80’ - Ivanschitz again! His take from the corner nearly finds Marshall, but it’s out on the other side. 82’ - GOOOOOOOOOOOOAL @Obafemimartins !!!! 82’ - Good header and a better save from Bingham bounces past Oba who puts an overhead boot to it for his fifth in five matches! 85’ - NOOO! Almost another one for Ivanschitz but he is called for a handball. Turn it around. 88’ - Final few minutes and it will be a former #Sounder sub for San Jose as Nyassi replaces Cato! Goodson spending a bit of time down on the pitch now. Ivanschitz has played almost 45 minutes so far, what are your thoughts on that guy? 94’ - SJ FK sent in and four minutes have passed, STILL 1-1. 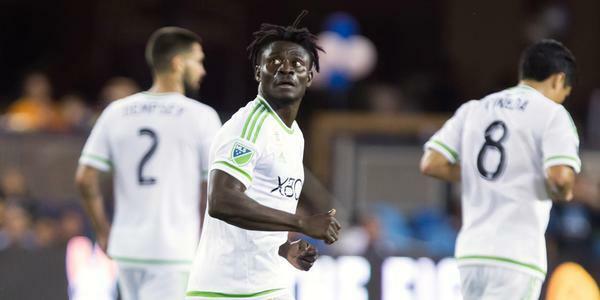 FT - #Sounders earn a draw with beautiful overhead goal from @Obafemimartins ! I’ll take a point on the road any day (but especially today). Oba scores five in five. Following @SoundersFC All Access tonight, stay tuned for a re-air of #SJvSEA at 10 PT! Alrighty folks, that’ll do it for me! Five goals in five matches? Not bad @Obafemimartins , not bad at all! Check out the #SJvSEA highlights now.